Need to replace your gas boiler? Keep reading to find out why servicing is so important, what it involves and how Viessmann can help you with this essential element of boiler care. Modern condensing boilers are highly efficient, but they won’t continue to perform at their best unless you maintain them properly - and this means getting them serviced in line with the manufacturer’s recommendations. If you don’t get the appliance checked over by an engineer on a regular basis, it may under-perform, leaving you facing higher fuel bills. As well as making sure your boiler is working efficiently, your heating engineer may make recommendations to help you save more energy. This could include adjusting the settings on your heating system or looking at options to use smart technology for your boiler, such as tado° - Intelligent Heating Control or other apps and technologies designed especially for Viessmann boilers. No one wants to have to deal with the inconvenience of a boiler breakdown, and regular servicing plays an important role in preventing this from happening. Unserviced appliances are at a greater risk of developing problems, and arranging an emergency repair can be costly. Scheduling in regular services will help ensure that any potential issues are identified and resolved at an early stage, preventing them from getting worse. By picking up problems quickly, regular servicing can also enhance the lifespan of your boiler. This can save you money over the long term as it means you can wait longer before having to pay for a new appliance. Failing to arrange boiler services can put your safety at risk. It may mean that serious problems, such as a carbon monoxide leak, go unnoticed - endangering the people in your home. During a service, your engineer will look carefully for any such issues, helping you to benefit from greater peace of mind. Regular servicing is required under the terms of your boiler guarantee or extended warranty. This means that if you don’t arrange these checks and you then experience a problem with your appliance, you may find that your protection is no longer valid - leaving you facing the cost of repairs or replacement. A boiler service is carried out by a Gas Safe registered engineer and it includes a full inspection of boiler components. Your engineer will remove the casing of the appliance and check everything from the main injector, spark probe and burner to the heat exchanger, electrical connections and controls. They will also look at the seals, pipework and combustion releases, and make sure your appliance is functioning at the right pressure. Your engineer will replace damaged or worn parts as required too and clean components as necessary to help ensure your boiler is operating as efficiently and effectively as possible. When should I arrange a boiler service? The majority of boiler guarantees and warranties require annual servicing, and this is also recommended in order to keep your appliance in efficient and safe working order. However, you don’t have to leave it a full year between services. If you think something’s wrong with your appliance, it’s a good idea to book an engineer even if your regular service is not due. You should also book a service immediately if you experience the signs of carbon monoxide poisoning. These can include confusion, nausea, vomiting, tiredness, dizziness, headaches, stomach pain and difficulty breathing. If you smell gas or have reason to suspect a gas leak, do not wait for a boiler service. Make sure that you or your family are not in immediate danger, evacuate the building immediately and call the Gas Emergency Service on 0800 111 999. For more information about what to do if you suspect a gas leak, we recommend reading our handy guide. Is a gas safety check different to a boiler service? A gas safety check is different to a service, but the two things can be done together. A gas safety check includes all the tests and checks required to make sure your boiler is safe to use. This means ensuring that the appliance is physically stable, the gas is burning as it should and any chimneys or flues are working correctly. It’s important to be aware that this check doesn’t help to maintain the reliability and performance of your appliance. A boiler service in contrast includes all of the safety checks mentioned above, as well as other inspections, checks and cleaning as specified in the boiler manufacturer's instructions. If you have a Viessmann boiler, it pays to make sure it is serviced by an engineer trained in our appliances. 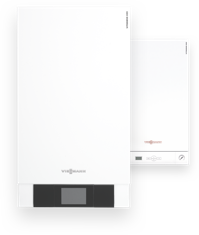 A Viessmann boiler service will ensure that the checks are carried out to the highest possible standard, and that genuine spare parts are fitted if required. If you would like to arrange a boiler service with one of our Gas Safe registered engineers or you have any questions about Viessmann boiler maintenance, don’t hesitate to contact our customer services team.